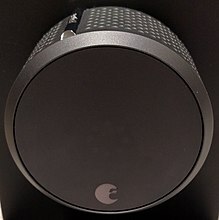 가정 자동화(영어: home automation 또는 domotics) 또는 스마트 홈(smart home), 스마트 하우스(smart house)는 자동화를 지원하는 개인 주택을 말한다. 가정 자동화에서는 Wi-Fi가 주로 원격 모니터링 및 제어에 사용된다. 가정 자동화 기기는 인터넷을 통해 원격으로 모니터링되고 제어되는 사물 인터넷(IOT)의 중요한 구성요소이다. 현대의 가정 자동화 시스템은 일반적으로 사용자 인터페이스로 제어되는 "게이트웨이"라는 중앙 허브에 연결된 스위치와 센서로 구성되며, 이 포트는 주로 벽걸이형 터미널, 휴대폰 소프트웨어, 태블릿 컴퓨터 또는 웹 인터페이스와 상호작용하며 종종 인터넷 클라우드 서비스를 통해 이뤄진다. 가정 자동화 관련 업계에는 경쟁 업체가 많지만 업계 표준에 인정되는 업체는 거의 없으며 서로 분열되어 있다. 제품에 대한 대중적인 통신 프로토콜에는 X10, 이더넷, RS-485, 6LoWPAN, Bluetooth LE(BLE), ZigBee 및 Z-Wave 또는 기타 독점 프로토콜등이 있고 이들은 서로 호환되지 않는다. 가정 자동화 시장은 2013년 57억 7000만 달러의 가치가 있었고 2020년까지 시장가치는 128억 달러에 달할 것으로 예측된다. 초기 가정 자동화는 노동력을 절약하는 기계로 시작되었다. 독립형 전기 또는 가스 가전 제품은 1900 년대에 전력 분배가 도입됨에 따라 세탁기 (1904), 온수기 (1889), 냉장고, 재봉틀, 식기 세척기 및 의류 건조기가 도입되었다. 1975년 최초의 범용 홈 오토메이션 네트워크 기술인 X10이 개발되었다. X10은 전자 장치의 통신 프로토콜로 주로 시그널링 및 제어를위한 전력 전송 배선을 사용하며, 신호는 짧은 주파수의 디지털 데이터를 포함하며 가장 널리 사용된다. 1978 년까지 X10 제품에는 16 채널 명령 콘솔, 램프 모듈 및 기기 모듈이 포함되었고 그 후 벽 스위치 모듈과 첫 번째 X10 타이머가 나왔다. ABI Research에 따르면 2012 년까지 미국에서는 150 만 개의 홈 오토메이션 시스템이 설치되었다. Li et al에 따르면. 홈 오토메이션은 3 세대가 있다. 3세대: 인간과 상호작용하는 로봇, 예) Robot Rovio, Roomba. 난방, 환기 및 공조 (HVAC) : 간단하고 친숙한 사용자 인터페이스를 통합하여 인터넷을 통해 모든 가정용 에너지 모니터를 원격 제어 할 수 있다. 보안 : 가정용 자동화 시스템과 통합 된 가정용 보안 시스템은 인터넷을 통해 보안 카메라를 원격 감시하거나 모든 경계 문과 창문을 중앙에서 잠그는 것과 같은 추가 서비스를 제공 할 수 있다. 애완 동물 관리, 예를 들어 애완 동물의 움직임을 추적하고 액세스 권한을 제어어한다. 가정 자동화는 다양한 가정 자동화 장치들의 하드웨어와 소프트웨어의 차이점을 고려하는 응용프로그램 개발작업과 플랫폼 단편화, 표준기술의 부재로 어려움을 겪고 있다.고객들은 자신들이 만들거나 상호연결해야하는 IOT가 독점 소프트웨어, 하드웨어, 프로토콜을 사용하기 때문에 투자하기를 주저 할 수 있다. 핵심 운영 체제에서 발견 된 버그에 대한 패치가 종종 더 늦어지고 저렴한 장치가 나오지 않기 때문에 홈 자동화 장치의 안정성이 문제가 될 수 있다 .한 연구원에 따르면 패치와 업데이트가 적용된 구형 장치를 지원하지 못한 공급 업체가 87 % 이상의 활성 장치를 취약하게 만든다고 했다. ↑ “5 Open Source Home Automation Projects We Love”. 《Fast Company》 (영어). 2014년 12월 1일. 2016년 11월 22일에 확인함. ↑ “Best Home Automation System - Consumer Reports”. 《www.consumerreports.org》. 2016년 2월 14일에 확인함. ↑ “Research and Markets: Global Home Automation and Control Market 2014-2020 - Lighting Control, Security & Access Control, HVAC Control Analysis of the $5.77 Billion Industry”. 《Reuters》. 2015년 1월 19일. 2016년 5월 5일에 원본 문서에서 보존된 문서. ↑ Rye, Dave (October 1999). “My Life at X10”. 《AV and Automation Industry eMagazine》. AV and Automation Industry eMagazine. September 30, 2014에 원본 문서에서 보존된 문서. October 8, 2014에 확인함. ↑ “1.5 Million Home Automation Systems Installed in the US This Year”. 《www.abiresearch.com》. 2016년 11월 22일에 확인함. ↑ Li, Rita Yi Man; Li, Herru Ching Yu; Mak, Cho Kei; Tang, Tony Beiqi. “Sustainable Smart Home and Home Automation: Big Data Analytics Approach” (PDF). 《International Journal of Smart Home》 10 (8): 177–198. doi:10.14257/ijsh.2016.10.8.18. ↑ Preville, Cherie (2013년 8월 26일). “Control Your Castle: The Latest in HVAC Home Automation”. 《ACHRNews》 (ACHRNews). 2015년 6월 15일에 확인함. ↑ Asadullah, Muhammad (2016년 12월 22일). “An Overview of Home Automation Systems”. 《Conference Paper》 (IEEE). 2016년 12월 22일에 확인함. ↑ Jin, M.; Jia, R.; Spanos, C. (2017년 1월 1일). “Virtual Occupancy Sensing: Using Smart Meters to Indicate Your Presence”. 《IEEE Transactions on Mobile Computing》 PP (99): 1–1. ISSN 1536-1233. doi:10.1109/TMC.2017.2684806. ↑ Jin, M.; Bekiaris-Liberis, N.; Weekly, K.; Spanos, C. J.; Bayen, A. M. (2016년 1월 1일). “Occupancy Detection via Environmental Sensing”. 《IEEE Transactions on Automation Science and Engineering》 PP (99): 1–13. ISSN 1545-5955. doi:10.1109/TASE.2016.2619720. ↑ Griffiths, Melanie (June 2016). 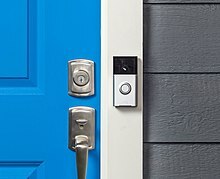 “Smart Home Security”. 《Homebuilding & Renovating》. 2012년 2월 27일에 확인함. ↑ “Nest Protect | Smoke and CO Alarms - Consumer Reports News”. 《www.consumerreports.org》. 2016년 4월 20일에 확인함. ↑ “Nest Protect | Smoke and CO Alarms - Consumer Reports News”. 2016년 11월 22일에 확인함. ↑ “Sure Flap - Smart Cat Flap Coming Soon! - News - Smart Home Geeks”. 《Smart Home Geeks》 (영어). 2017년 4월 6일. 2017년 8월 11일에 확인함. ↑ “IoT experts fret over fragmentation - Mobile World Live”. 《Mobile World Live》 (영어). 2016년 2월 25일. 2016년 11월 22일에 확인함. ↑ “Fragmentation is the enemy of the Internet of Things | Qualcomm”. 《Qualcomm》. 2016년 2월 19일. 2016년 11월 22일에 확인함. ↑ “Internet of Things: Opportunities and challenges for semiconductor companies”. 《McKinsey & Company》. 2016년 11월 22일에 확인함. ↑ Steve Kovach (2013년 7월 30일). “Android Fragmentation Report”. Business Insider. 2013년 10월 19일에 확인함. 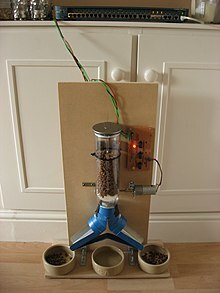 ↑ “Who Needs the Internet of Things?”. 《Linux.com | The source for Linux information》. 2016년 11월 22일에 확인함. ↑ “21 Open Source Projects for IoT”. 《Linux.com | The source for Linux information》. 2016년 11월 22일에 확인함. ↑ Franceschi-Bicchierai, Lorenzo. “Goodbye, Android”. 《Motherboard》. Vice. 2015년 8월 2일에 확인함. ↑ Kingsley-Hughes, Adrian. “The toxic hellstew survival guide”. 《ZDnet》. 2015년 8월 2일에 확인함. ↑ Tung, Liam (2015년 10월 13일). “Android security a 'market for lemons' that leaves 87 percent vulnerable”. 《zdnet.com》. ZDNet. 2015년 10월 14일에 확인함. ↑ Thomas, Daniel R.; Beresford, Alastair R.; Rice, Andrew. “Security Metrics for the Android Ecosystem” (PDF). Computer Laboratory, University of Cambridge. doi:10.1145/2808117.2808118. 2015년 10월 14일에 확인함. 이 문서는 2019년 2월 13일 (수) 16:43에 마지막으로 편집되었습니다.